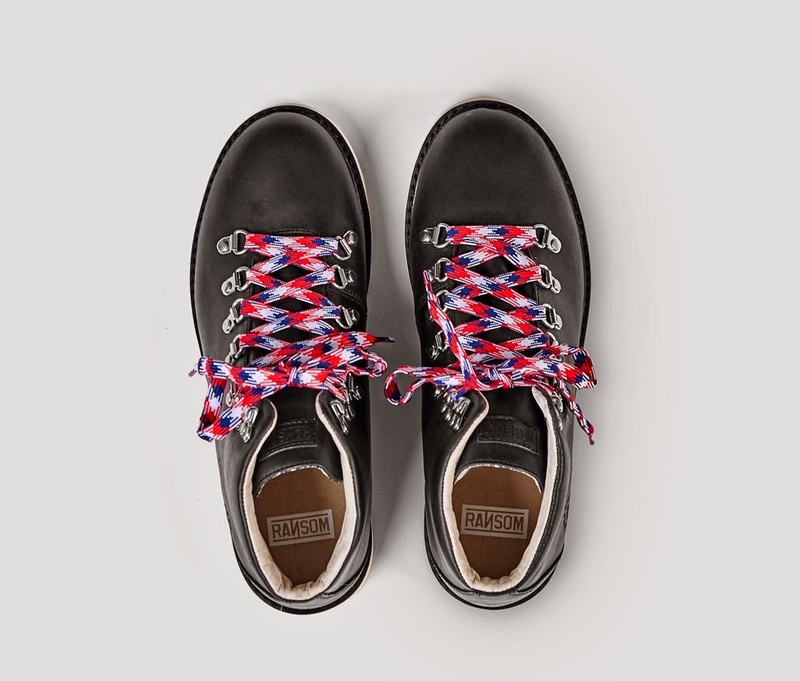 Founded as a destination retailer Ransom set out to design and enter into creation and design of footwear in 2009. 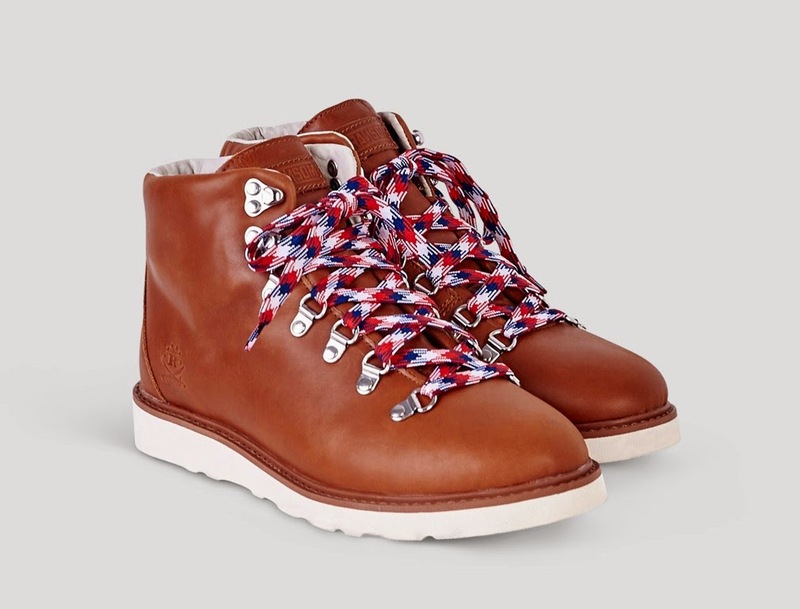 Ransom present this Alphine Boot in a golden brown full grain weather resistant leather upper with a metallic D-ring lacing system. 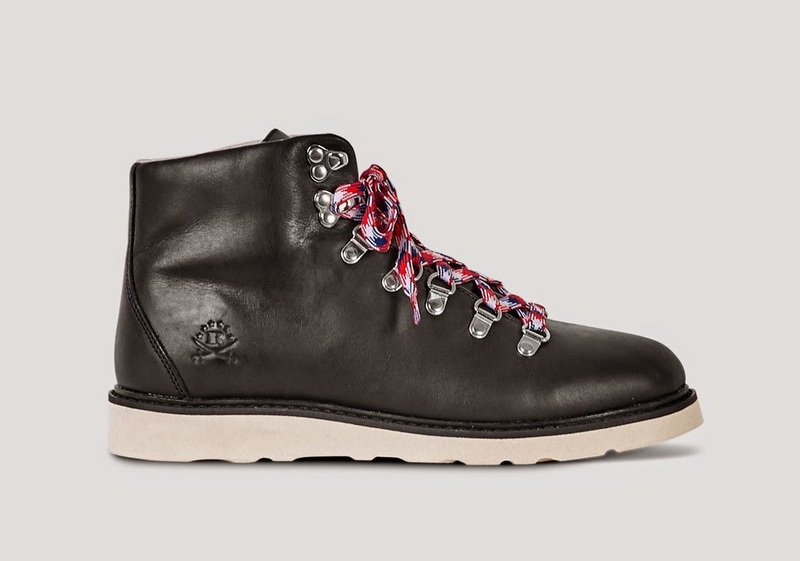 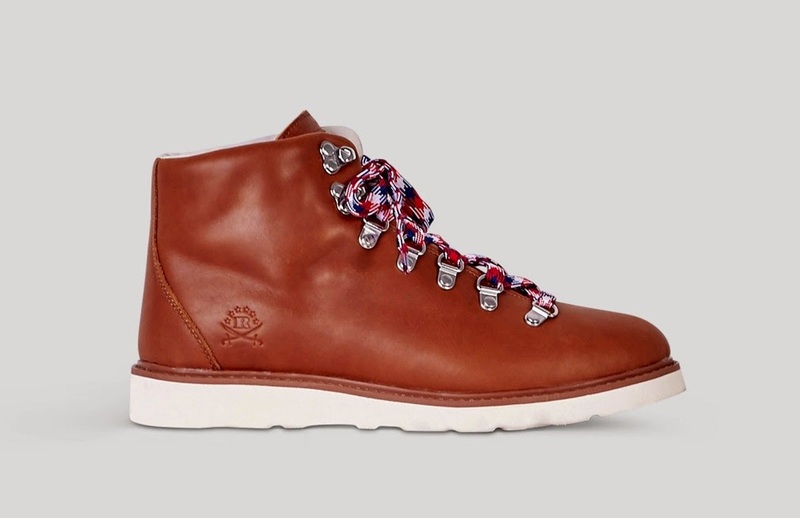 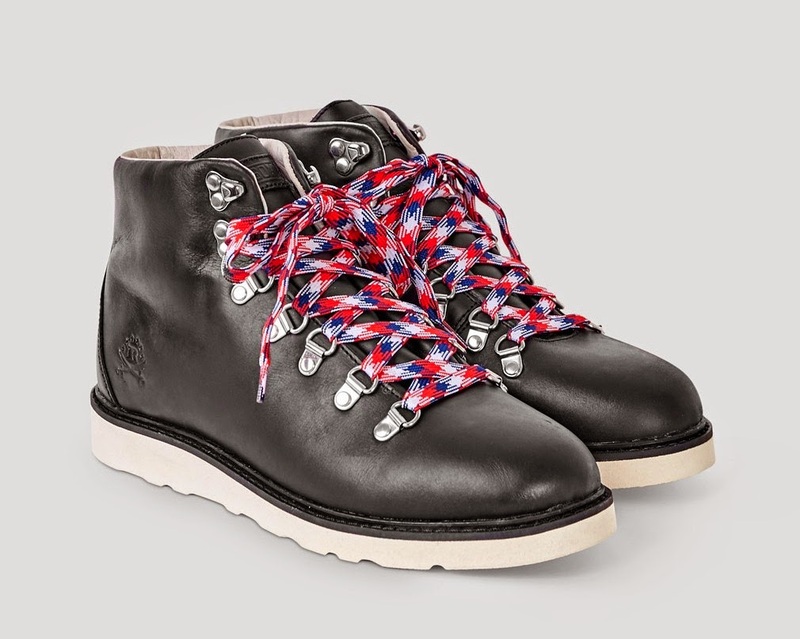 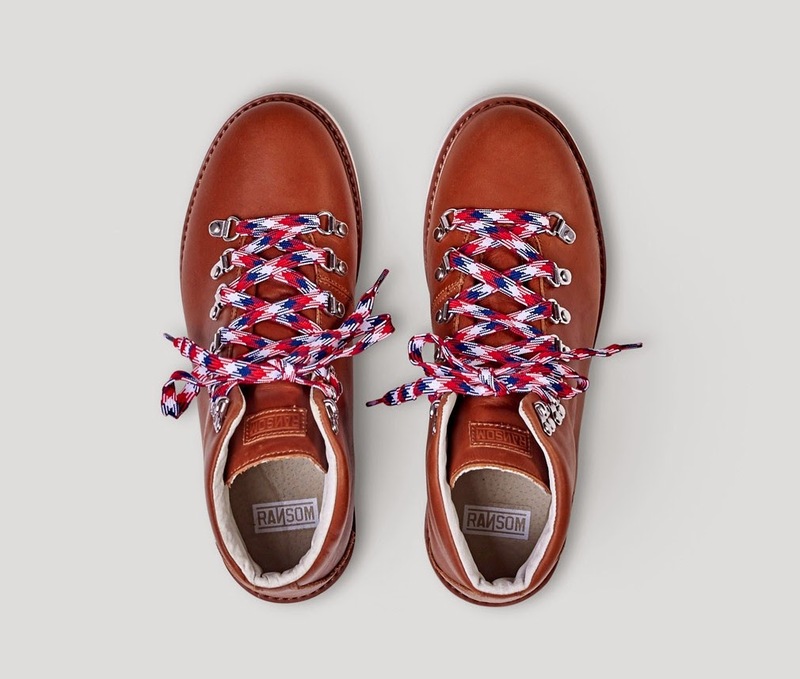 The shoe is sat on a light bone Vibram Christie midsole and is finished with blue, red and white thick laces plus branding to the heel and tongue.